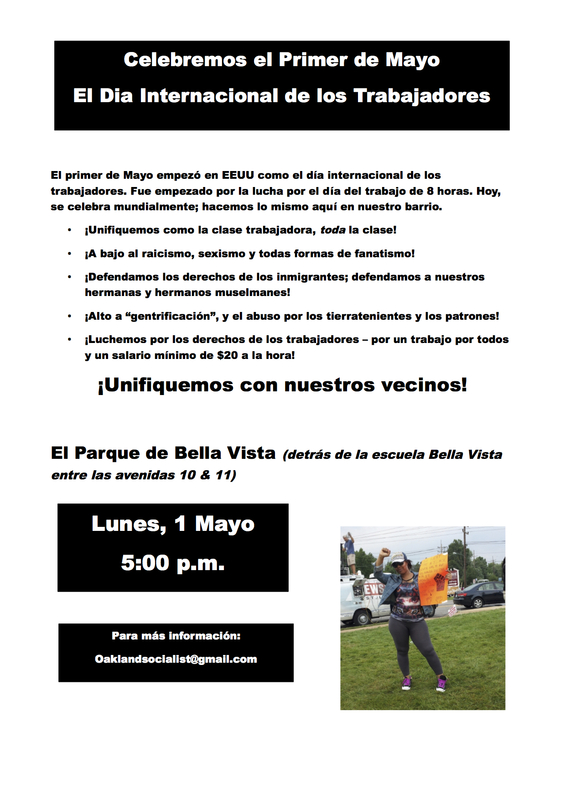 So, I was walking down the street in my neighborhood, posting these leaflets (English and Spanish) for a May Day event in the neighborhood park. Got my backpack on, my cap to shield the sun, my stapler in hand. I’m starting to think, “what am I doing this for?”, feeling like Don Quixote. Then two young brothers come walking towards me, smoking a joint. I stop them and give them a leaflet. 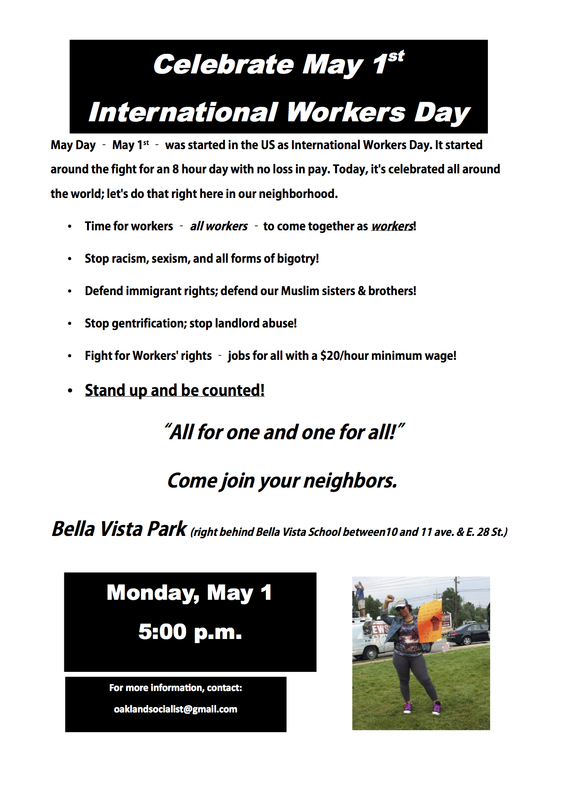 “You know about May Day – international workers’ day?” I ask. I agreed. “Yeah, you know the Three Muskateers?” I said. “Yeah. One for all and all for one,” he said. I told him the same. That I hoped I’d see him on May Day up in Bella Vista Park but if I never see him again, I will remember this conversation. I said that I’d been doing this a long time, but it was conversations like this that kept me alive “in here” (and I patted over my heart) and “up here” (tapping my head). “That’s for real,” he said as he put in his gold over his teeth. In the end, he took a bunch of leaflets to put up in his apartment building.